AllThingsValued is an independent consulting firm based in Oakville, Ontario, Canada, serving the Call Centre Industry across North America. 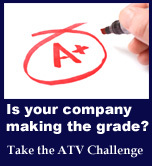 The firm specializes in providing Call Centre and General Management Strategy consulting. 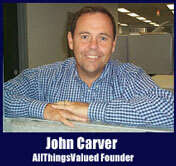 John Carver, Founder and Principal of AllThingsValued, has been actively engaged with the Call Centre industry for many years, and is a recognized authority on Call Centre management in Canada. He was recognized as Canadian Call Centre Manager of the Year 1999. John 's strong business and management acumen has been developed over 30 years within the Banking and Bank Card industry at the senior Management level. John has completed the Kellogg Executive Development Program, holds an Associate Diploma from the Institute of Canadian Bankers, and has had numerous industry related articles printed in Call Centre publications. He is also a speaker at Call Centre industry forums and panels.